In the early 80’s, Ming Lok started a printing business. After being turned down by many banks, this recent immigrant approached NECFCU for financing. The credit union provided the funding to help Mr. Lok realize his dream. He established the Tin Shing Printing Company in the center of Chinatown. In the beginning, the business consisted of Mr. and Mrs. Lok and their five children. Within three years, annual sales grew to almost $100,000. Their business continued to grow, with the help of multiple loans from the credit union. Today, Tin Shing Printing has ten employees (including four children) and annual sales exceeding $500,000. 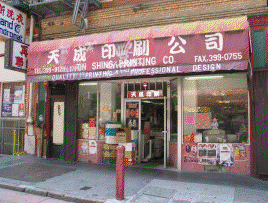 It is now the premier printing company in Chinatown. 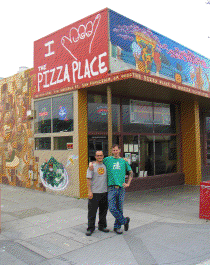 Pizza Place LLC was founded in September 2006 by David Ashin and Kevin Baryza. 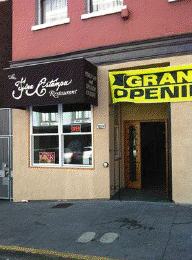 The partners decided to open their first restaurant inside a vacant storefront. They saw the potential of success by serving good food at a fair price in a middle class neighborhood. After beginning the renovation on their new pizza restaurant, the owners found themselves low on funds. Turned down by the conventional banks, the owners applied to NECFCU for a $50,000 loan. The venture was so successful that there was a need to expand especially after receiving multiple rave reviews from food critics. When next door became available in 2008, the owners seized the opportunity. Again, NECFCU approved their application for a loan for $25,000. From a crew of 7 to a staff of 13, their pizza restaurant business is booming. Not only is the business providing employment to local residents, it brought improvements and fostered growth in the area with its successful endeavor. 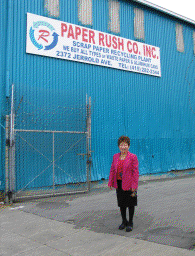 In February 1, 1987, June Tran Vanh founded the Paper Rush Company, Inc. Being an ardent supporter of a clean environment, June was always very keen on how to contribute to a greener world. After considerable research, she arrived at the idea of starting her own recycling business particularly recycling scrap paper, plastic, aluminum cans and glass bottles. A major obstacle was capital. After being turned down by the conventional banks, she approached NECFCU who gave her an initial loan of $20,000. Throughout the company’s growing pains, the credit union loaned her additional capital which she paid off on time. This one-woman show was ready to roll. She personally collected, sorted, packaged and exported her commodity—scrap paper. The business was able to grow so rapidly, that Paper Rush expanded to a second location in Oakland. In June 2010, Billy and June Tran Vanh applied for a $50,000 loan to pay for their company’s day to day operations. The company was very profitable but they were having cash flow problems due to the freeze on their funds from the state of California. A loan of $35,000 was approved to June Tran Vanh to help the company with its cash flow problem. Payments were made on a timely manner. From a one-woman operation to present day’s 14 full-time employee business, June Tran Vanh has come a long way. She is not only creating employment for local residents, but also contributing to a better environment. Veronica Shinzato is a single mother who wanted to re-open the Peruvian restaurant, La Fina Estampa, but ran out of funds while remodeling. Unable to borrow elsewhere, she approached the credit union for a $40,500 loan to finish the work. Her mother, Tamie, operated the original La Fina Estampa for 25 years before retiring in 2009. Having worked daily all her adult life, she did not enjoy retirement and had a hard time adjusting to a less than active lifestyle. Veronica applied for a loan so that her mother can resume running the family restaurant she grew up with and has fond memories of. The NECFCU provided Veronica with a loan for $40,000 to reestablish her family restaurant business. Since the opening of La Fina Estampa, the restaurant has again become very popular and successful. Customers who have dined at the original restaurant, Fina Estampa, have rediscovered this restaurant and returned to support it.